I bought this book quickly after it came out. But when I picked it up, couldn’t get past the first few pages. I made a second attempt about half a year later, not getting any further this time. But I finally got over my anxiety about this book and finally finished it! When Beaufort Swan moves to the gloomy town of Forks and meets the mysterious alluring Edythe Cullen, his life takes a thrilling and terrifying turn. With her porcelain skin, golden eyes, mesmerising voice and supernatural gifts, Edythe is both irresistible and enigmatic. I gave Life & Death by Stephenie Meyer one out of five stars because it had all the things I did not like about Twilight in there. Some of the lines were a bit more interesting but overall it was just bad. I had hoped it would inspire me again to read the entire franchise but it just killed at least for me for this moment. Beau completely feels like the worst of Bella put into a male and Edyth just bugged me with her male behavior. In principle Beau’s friends worked they were they are, just like Bella friends worked. But for the Cullens it just completely felt wrong. A designer brother and a strong sister? It was so wrong and it hit me against the shins every time something something like the characteristics of one of the Cullens was mentioned. I feel like this book completely ruined my experience. I don’t want to give it one star, because it does have some particular original things in there that were funny. 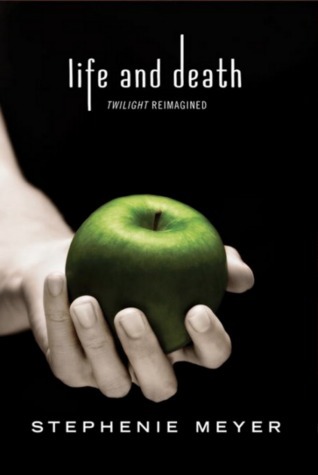 And maybe if I had never read Twilight before or knew anything of it, it would have been a fine read. But I will never know! This entry was posted in Book Review and tagged Book Review, Drama, Fantasy, Romance, Stephenie Meyer. Bookmark the permalink.